In April 2018 the Board welcomed Chae (pronounced “Shay”) Swan as anew director. We have enjoyed working with Chae for years when he was the Executive Director of the South End Community Center. We were consistently impressed with his intelligence, grace, insight, and strategic abilities. Chae is a lifelong Springfield resident. He graduated from Cathedral High School, Springfield College, and will soon finish the MBA program at Bay Path University. Chae’s passion for youth and community development was inspired by his close-knit family. At the age of 30 Chae was the youngest executive director of a community-based organization in the City of Springfield, when selected for the position in 2007. For the past 11 years Chae has successfully navigated the South End Community Center through the recession of 2009, and the tornado of 2011 which destroyed the SECC facility. Chae and his staff ushered over eighty children to safety during the tornado. Moreover, Chae has operated the SECC without the benefit of a facility through satellite sites and strategic partnerships. With help from Mayor Sarno, Foundations, and the community, the new South End Community Center opened its doors on October 26, 2017. Having completed the construction of a new Center, Chae now works for the City of Springfield. Welcome aboard! At the April 2018 meeting, we authorized $568,250 in grants to a variety of organizations in Western Mass. Following is a clickable list of the grantees with links to their websites so you can learn more about our wide variety of interests and the outstanding work done by these dedicated organizations. Providence Ministries for the Needy, Inc.
We have been honored to have Dr. Carol Leary on the Board of Directors since October 2003. Her years of service have provided us with meaningful guidance, wisdom, and friendship. As she retires from our Board, we offer our most heartfelt thanks. Carol is the President of Bay Path University. Her leadership has transformed the school into a leading educational institution, providing transformative opportunities for countless women in our community. Thank you, Carol. In February 2018 the Beveridge Family Foundation, Inc. (“the Foundation”) conducted a survey of prior grant applicants regarding alternative funding streams. Out of 400 valid email addresses, 190 responses were received. A brief review of the results follows. Over the last few years we have been honing a strategy around impact investing the needs for general operating support. The fruition of our efforts have resulted in workshops to be held in the Fall of 2018. Each will be designed to form cohorts of similarly-sized nonprofits at the same stage of implementation of individual alternative funding strategies. We are hoping for 90 participants in nine separate cohorts across three strategies. Each strategy will be led by a nationally recognized consultant to help drive participants from one stage to the next in education, planning, implementation, and completion. 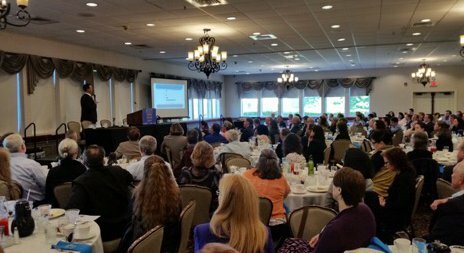 On June 6 Ward unveiled the details of our strategy to enhance funding for nonprofits in Pioneer Valley. The event was hosted by our partner, the Human Service Forum. Before a sold-out crowd, we described the history and reasoning of the initiative, our vision, and how it will work. Following the presentation, a panel of experts discussed their experiences and capabilities in alternative funding concepts. We want to thank the Human Service Forum, the forum panel, and all who attended. The problem statement driving this initiative can be broken down into two perspectives. Over many years, we have engaged in discussions with nonprofits, funders and experts about the challenges of reliable and adequate funding. We have participated in panels, attended conferences and read extensively. The survey referenced above was generated from a compression of the ideas we learned about from others. The results helped us in designing a vision in our attempt to make progress in providing an expanded base of more reliable funding for the nonprofit community. Our vision may be summarized as follows. The Pioneer Valley funding community seeks to assist area nonprofits in finding sustainable funding sources beyond traditional development. External expertise is needed to accelerate the progress on learning, planning and implementing new strategies. Educational workshops will be conducted, using these experts to present the material. From the workshops, surveys, and conversations, interest levels will be gauged to form cohorts of similar scaled nonprofits that are also at the same stages of progress on individual funding strategies. These cohorts will work over an extended period with consultants to move forward. Funding for the cohorts will be needed for the cost of the consultants, meetings, and management time. We will start the workshops with Endowed Projects, an area that is approachable to many of those nonprofits as it is closer to what they already do. And yet, they admit they have struggled with success. Chuck Gordon of the Kensington Group has had tremendous success in this area and is already working with others in the eastern part of the state on this specific model. Chuck will lead the first workshop on September 27th, 2018. Alyssa Wright will lead the second workshop on October 24th, 2018 focusing on enhanced cost savings. This is an area of tremendous opportunity. Alyssa has valuable experience implementing and teaching effective techniques for cost savings. As of May 31, 2018, the investment value of the Foundation was at $57,877,825 up 1% since October 2017. The assets remain prudently invested among common sectors under the guidance of UBS. We would like to use investment dollars to advance our mission in the community. 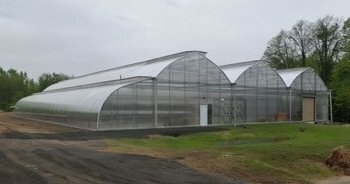 To that end, we invested in the Wellspring Harvest Greenhouse a few years ago and are pleased that their hydroponic coop is now in production. We would like to make other investments and have partnered with Chris Sikes of Common Capital to create the Pioneer Valley Social Impact Fund. For more information, contact Chris at csikes@common-capital.org. This spring the Foundation joined a BALLE (Business Alliance for Local Living Economies.) I attended the first meeting of a new cohort of foundations in May to discuss place-based impact investing. BALLE’s members are committed to work together to advance the concepts of local investing. Much of what the Foundation is doing with the Pioneer Valley Social Impact Fund, Wellspring, and other initiatives should be improved with what we learn from our work with BALLE. The Beveridge Family Foundation accepts grant applications twice per year. As part of the process, we complete site visits for nonprofits we have not visited in several years, or where there have been significant changes. We are shifting the dates of the site visits to avoid August and February dates which are difficult for many due to vacations and winter weather. We are pleased to join with our peers in an effort to better utilize data in our decision-making, and to make data more available to the community for the improved detection and analysis of issues. We are thankful to the Pioneer Valley Planning Commission for taking on much of the work in assembling and presenting the data, and to working with the constituents to determine data priorities. We see the effects of good management in the nonprofits we fund. The use of data in questioning one’s own beliefs is an important aspect of continued improvement. In that spirit, we are working with the Center for Effective Philanthropy to survey our recent grantees to better understand our impact, processes, and performance. The survey will take place this fall. As a family foundation, our Directors consist of a mix of family members and local leaders. We have offered training opportunities this year to our Board members to help in their duties. We are thankful to Pam Maksy of GMA Foundations for her web-based seminar on the required distribution calculation and details of the IRS 990. In addition, we turned once again to Bob Hull for his day-long trustee training, based upon his book “The Trustee Notebook.” Both were well-received and helped us gain confidence in our abilities as stewards of the Foundation. At our recent board meeting in Northampton, the Board was pleased to review Bev Bucks applications from Fred Palmer, Henry DuPont, Coco Palmer, Lily Palmer, Cameron Hickerson, Jaxson Hickerson and Jordon Hickerson. We are thrilled to see this initiative grow. If you are a descendant of Frank Stanley Beveridge, get involved with a non-profit organization you think is deserving and interesting. You can volunteer to help in their work, raise money, or increase awareness. Benefits include work experience, friendships with like-minded people, and a better understanding of how to work with others on a common goal. You will find that the time spent provides fulfillment well beyond most other endeavors. Descendants of Frank Stanley Beveridge can make a pitch for “Bev Bucks” to kick in and help your chosen charity. All you need to do is to write a short appeal for the organization. What it means to you. Be sure to mention if you are involved with them, and how. Be sure to describe any personal connection between you and the nonprofit. Email it to me at caswell@beveridge.org and I’ll get right back with you. The deadline for submissions for consideration this fall will be October 1, 2018. There is a limited pool of funding available, so do your best to make a case for your favorite non-profit. As always, we hope to hear from you. Be sure to check out www.beveridge.org for more information about the history and mission of the Beveridge Family Foundation. I echo Dianne Doherty’s gratitude for this immensely informative Summer Report. As a first-time applicant and recipient of a generous Beveridge Family Foundation Grant, we at the Harold Grinspoon Charitable Foundation, and specifically the Excellence in Teaching Awards Program, appreciate learning more about the Beveridge Foundation, board members, the grant process, and your wide-ranging community priorities. You are significantly impacting the quality of life throughout Hampden and Hampshire Counties; with our grant, we were thrilled to be able to reward and motivate 30 outstanding educators to carry out “dream” projects in their classrooms. Thank you for all you do and continue to do. Thank you for sharing the newsletter. We had a staff member attending the Alternative Funding Forum and are interested in learning more. The G is for Gun video trailer was disturbing and thought provoking. Especially when the teacher said we can get guns but not air conditioning. It is an important topic to discuss unfortunately. I like the new website. Congratluations on adding Chae, th the Board of Directors. He has done an amazing job at SECC and will provide he Board with great insight. Thank you Dr. Leary for your years of service to the Foundation. Ward – As a former long time Board member I cannot help but be impressed with your creativity and leadership of this hugely important regional institution. Your attraction of quality Board members like Chae Swan, your outreach to family, your work with Common Capital, your education initiatives with the non-profit community and so much more are of both immediate and long lasting value. Thank you for the informative and well-prepared Summer Report. The impact of the Beveridge Family Foundation in Springfield and the surrounding area is huge, and the fact that you do so much more than provide funding has strengthened that impact. Most non-profits can benefit from having the expertise of an external agency with a vast knowledge of the non-profit world and you, Ward, are a strong mentor with many gifts to share. Thank you! Thank you Ward for sending us the the summer president’s report. I saw that the FSG Foundation has funded the “G is for Gun” documentary. Does this mean that the board endorses the introduction of guns into our schools? We endorse a manful dialog on the concept. If you watch the film, you are free to make your own conclusions. Personally, I feel the idea of arming teachers is ridiculous, but my saying so won’t change the mind of a gun enthusiast. I’m hoping that if people watch the film, they will understand more of the problems that are likely if teachers are armed. Thanks for asking! LOVE the new website! Thank you for all you do! Thank you, Ward, for this report and congratulations on your fabulous new website! Link to Libraries is so grateful for the support of the Beveridge Family Foundation and for all the work that you do here in the region. Many, many thanks! Have a wonderful summer! So thrilled for the new initiatives and focus to ensure sustainable funding models can be designed for important social and economic missions in our state! Congrats to the foundation on all success and a bright future ahead. Thank you for the newsletter. I appreciated being able to click on the links provided to get more in depth information. I was especially excited to learn more about the Alternative Funding Initiative and the resulting focus areas. We’ll look forward to future opportunities to participate in the initiative. Thanks for a balanced and comprehensive report; your support for NABVETS and the kind and generous words for your new board member Che Swan.